Can you adequately learn the fundamentals on an aggressive platform? It didn’t take long for the “squid” to stop looking so squidly. There was nothing I could do about this young man having bitten off more than he could chew, eschewing hisEX250 after four months of ownership before trading it in for the “sexier” GSXR-750. Though I knew better than he did, I am not one to pontificate, even if Jairo had met me BEFORE the trade. After all, I was once as young as he was – I’ve had to learn from my mistakes, and so he would have to do the same. He made his bed, he should lay in it. I only hoped to keep his bed from turning into a grave. Fortunately, he allowed himself to be guided, taking my words to heart and doing exactly as advised. As well as riding principles, I advised him on the benefits of proper sport riding gear. In one ride I would tell him the benefits of owning sport riding boots rather than his canvas shoes, and by the next ride, he was properly booted up. When I advised of the security of a full leather suit, he was in one next time I saw him. Admittedly, it was a scary thought that someone would actually do exactly as I said – he would jump when I told him to, and the only question he would ask was, “How high?” Even guidance counselors must feel the burden of responsibility when they are listened to, but like I previously wrote, Jairo made the sense of responsibility feel less burdensome not just with his eagerness, but with his earnestness. He was a genuinely hungry mouth waiting to be fed without a sense of entitlement. 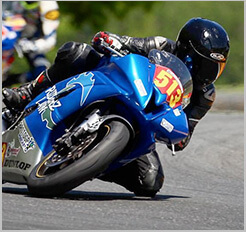 My experiment finally culminated into bringing this young rider – who has yet to hit a full year into his riding career – into the world of trackdays. It took me well towards the end of my second year of street riding before I did my first trackday, and here I was ushering Jairo into his much earlier. But ever eager and willing, he booked his spot. So a week prior to his very first trackday, he and I prepared his bike for the track right in his parking stall in his apartment complex’s garage, where he leaves his bike overnight. The very next day, he called to tell me that his bike had been stolen. Of course he was devastated, but that didn’t deter him from saving his money again to buy another motorcycle. 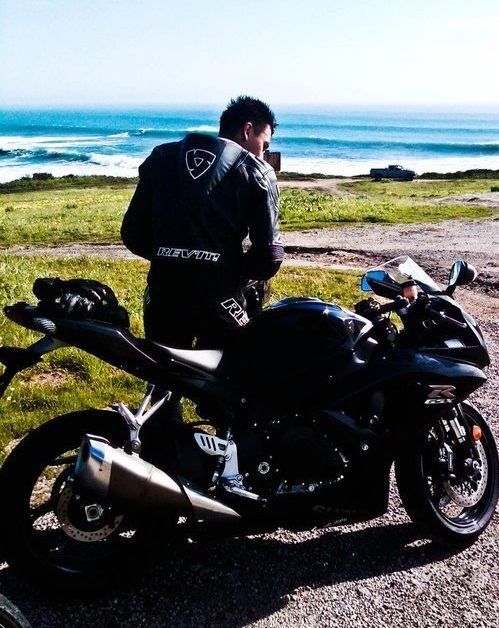 Two months after his bike was stolen, he contacted me to say he was ready to buy another, and though he liked his GSXR-750, he wanted to know if there was something else he should consider. Started riding in 2010 at 20 years old. Bought an EX250 as a first bike. Four months with the EX250 before trading for the GSXR-750. 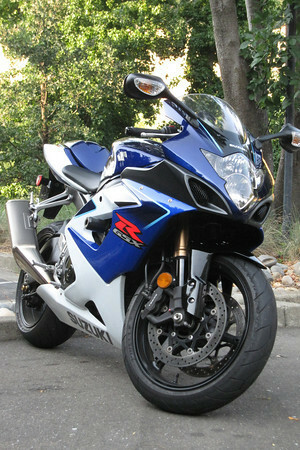 GSXR-750 was stolen about six months later. Did I make his bed into a grave after all?